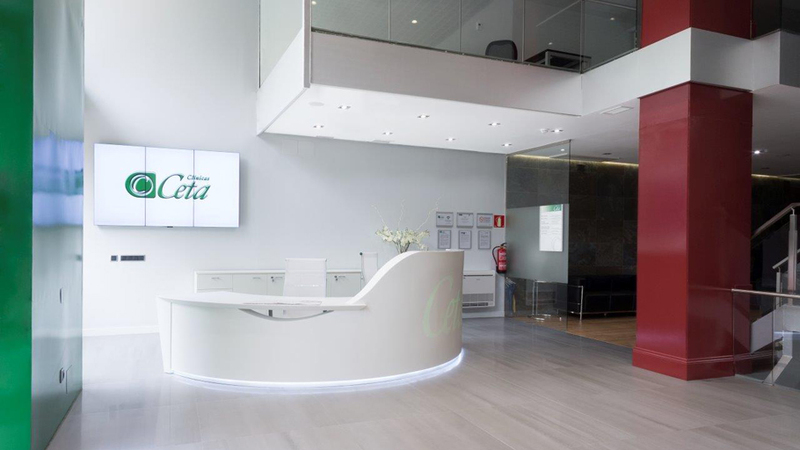 In the prestigious neighbourhood of Salamanca in Madrid, one can find a new medical centre: the new Ceta Clinic headquarters in the capital, in other words, a clinic specialised in aesthetic medicine and plastic and vascular surgery, which has been devoted to assuring the well-being of patients for 14 years, and furthermore, it is a cutting-edge clinic in the field of carrying out hair grafts by using FUE technique. 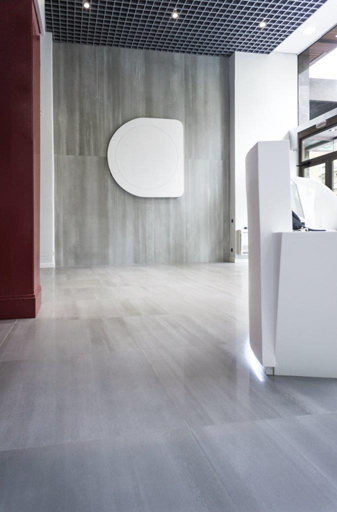 Aesthetics, security and professionalism, the moral codes which govern the commitment to the clinic’s quality, go together along with the interior design project of this newly-created and modern premises, where special materials by PORCELANOSA Grupo have been used. 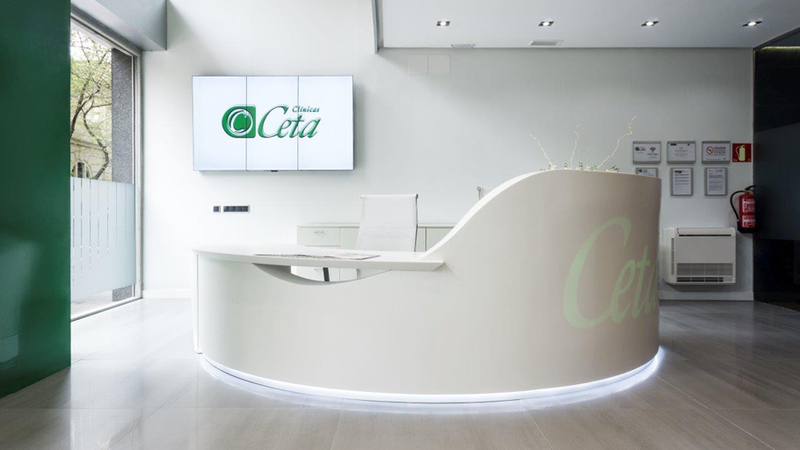 Reception furniture shows the purity of Systempool mineral compact, KRION® Solid Surface, in which its 1100 Snow White colour takes on both a cosy and dynamic shape thanks to the thermo curved effect in the material and the integration of the Ceta brand in its backlight. 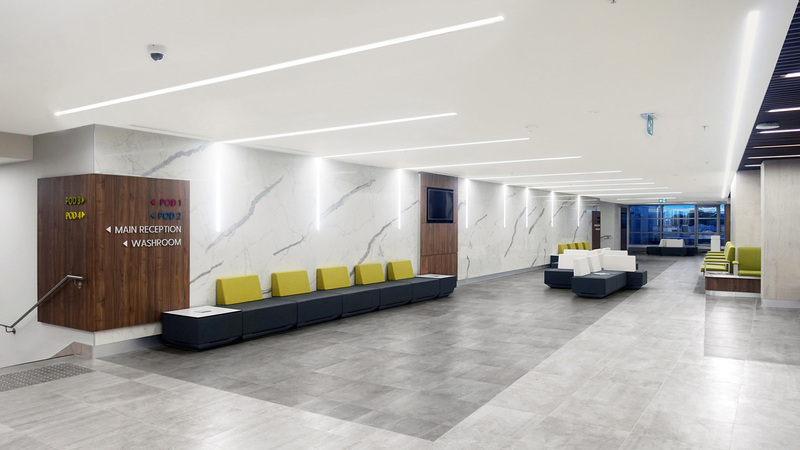 Likewise, the Concrete series of the XLight large format extra-slim ceramic porcelain tile by Urbatek has been the choice for tiling the wall where the clinic logotype has been installed with KRION®, done in a mechanised way. 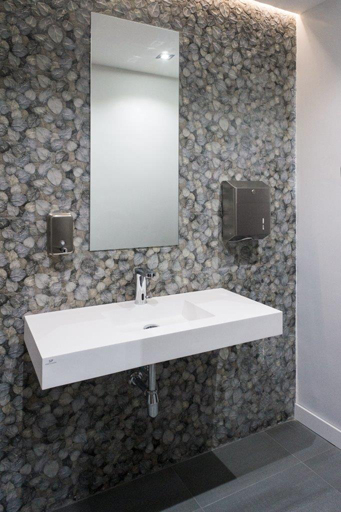 As far as the bathroom design is concerned, Oxo Garden by Porcelanosa has been the choice with regard to wall tiles, thus, providing the space with pure organic inspiration. 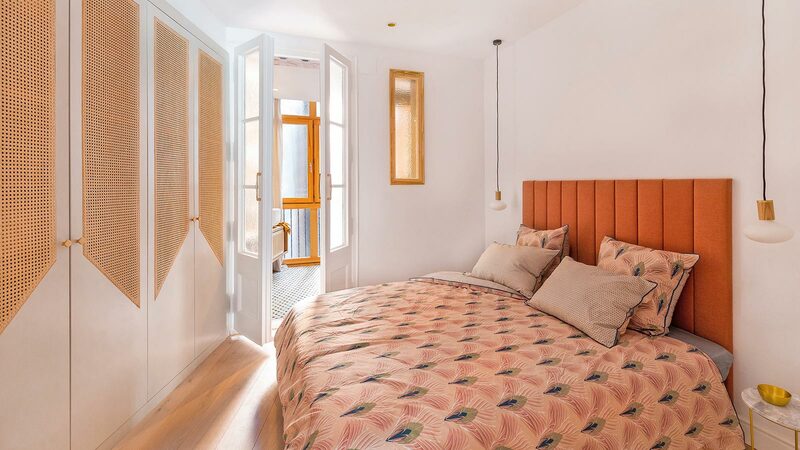 A strong eye-catching ceramic which combines colour and a wallpaper effect together with the volumes and reliefs that are typical of porcelain, simulating a mantle of autumn leaves covering the wall which holds the basin. It looks as if water sprang up straight from nature itself. 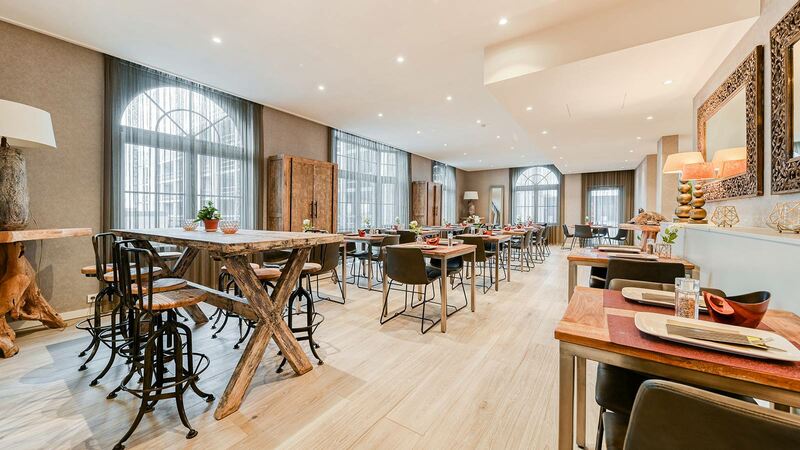 Natural blends in Hotels bathroom electrical taps with timer technology, by Noken bathroom equipment. 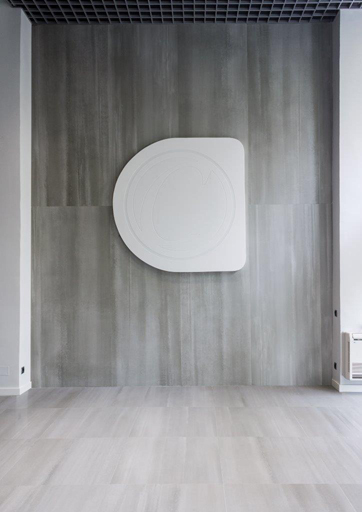 A magnificent aesthetic result in line with a clinic which firmly and meticulously takes care of patients’ health and well-being every single day.